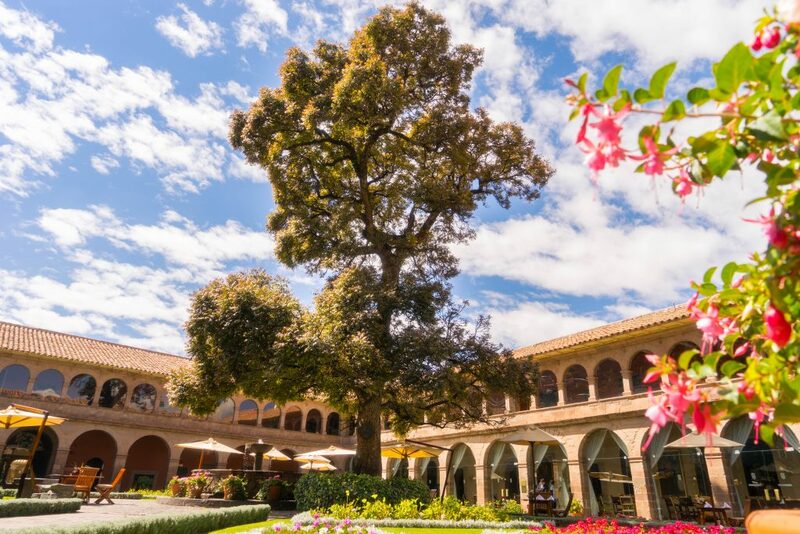 The oldest tree in Cusco is located inside an ancient palace joining Spanish and Inca. 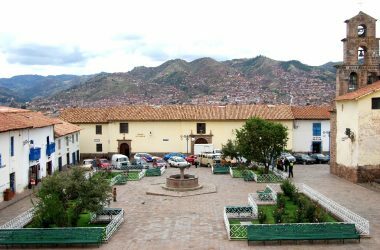 It was founded by Monsignor Antonio de la Raya, sixth Bishop of Cusco and today is the Monasterio Hotel. José Castañeda Prada, an agronomist, points out that cedar belongs to the species of Cedrela herrerae or Cedrela angustifolia, popularly known as the highland cedar, a species native to the American mountains. It is a sturdy, erect, and well-kept Cedar of great beauty, which would have been cultivated from a cutting approximately one hundred years of the foundation of the palace by a monk of the convent. It is more than 20 meters high. The Andean cedar is a species that is highly valued for timber and in previous centuries its use was intense. It is a species whose wood was heavily exploited for centuries for artistic carvings such as choir stalls, columns, altarpieces, pulpits and other manufactured furniture. During the Spanish colony, it was and is still is valued as high quality wood that is used in fine furniture for its extraordinary finishes in texture and color. Today in the city of Cusco we only have one cedar tree of Cedar that is more than 330 years old. It is in the central courtyard of the former San Antonio Abad seminary that is located in the Nazarenas square, today part of the Monasterio Hotel. It is considered a national historic landmark protected by the National Institute of Culture of Peru. This tree is in danger of extinction due to the use of its wood. Its fruits are used in floral arrangements. Nowadays people prefer to plant the Eucalyptus tree. 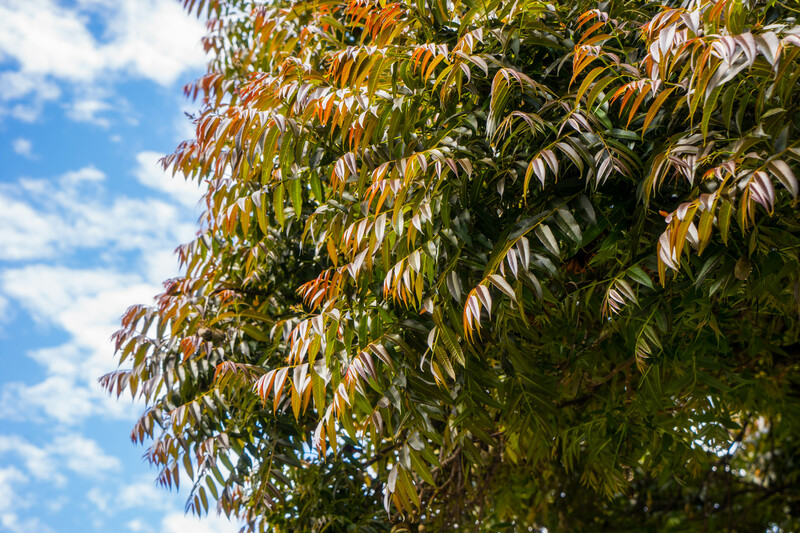 Although it is true that it is not native to Peru and rather was brought from Australia, in our lands it found a favorable climate for its rapid growth. Its trunk grows straight and the wood is used for the construction of houses. It provides an income for the one who planted it, even though there were laws that forbade planting Eucalyptus. On the contrary, the cedar was promoted to reforest the places with native trees. People ignored it although they are aware that the Eucalyptus damages the land. Unfortunately, their economy matters more. 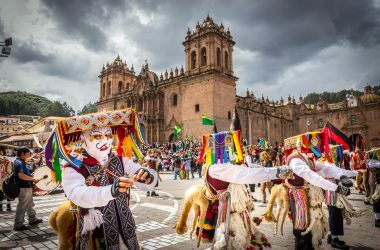 Today it is difficult to find highland cedars in Cusco, but there are several projects such as Pachamama Raymi, which since 2015 has been carrying out campaigns to plant more than 120,000 seedlings in the district of Lares.